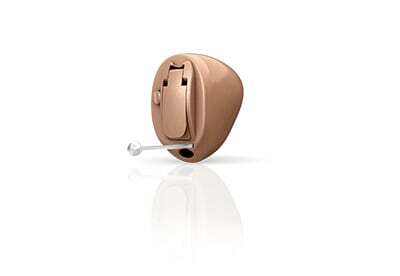 Sonic Innovations is a U.S. based manufacturer of hearing care solutions who envisions a world where all people can enjoy the sounds of everyday life and where lives are improved through enhanced hearing. At Sonic, we appreciate the value of hearing and seek to help people find the greatest enjoyment from it. We want to make an impact on people's lives. That goal can be seen in our commitment. In the quality of our products and services. And in our reputation as an honest, friendly, and reliable company. 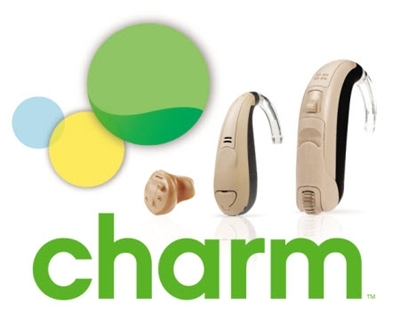 As a hearing aid company, there's nothing Sonic enjoys more than hearing for ourselves the positive experiences of users like you. 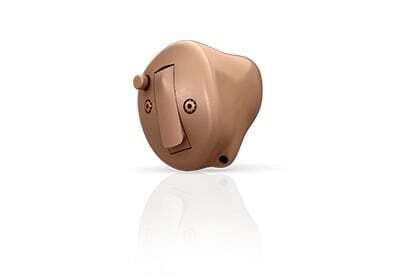 Enchant brightens everyday hearing experiences with incredibly adaptive, flexible, and automatic technologies. Built on Sonic’s most powerful platform to date, Enchant aligns premium features with astoundingly natural sound. With innovations like these, Enchant is the newest way Sonic continues to make Everyday Sounds Better. SoundDNA starts with our renowned Speech Variable Processing—and adds so much more. Learn more about this remarkably fast and finely tuned system. Speech Variable Processing with SmartCompress preserves the nuances of speech - the soft and loud sounds that occur in every word. Speech in Noise (SPiN) Management attacks background noise to help you hear conversations in noisy places. Optional ZPower rechargeable batteries power the Enchant miniRITE all day, even with hours of streaming audio from your favorite devices. With many discreet styles and accessories to choose from, Enchant is available in 5 performance levels to fit nearly every budget, to make everyday moments more magical. There's always reason to celebrate. Suddenly everyday situations are more meaningful. More memorable. More joyful all around. That’s how you’ll experience life with new Celebrate. Designed with your everyday lifestyle in mind, Celebrate rises to any occasion. 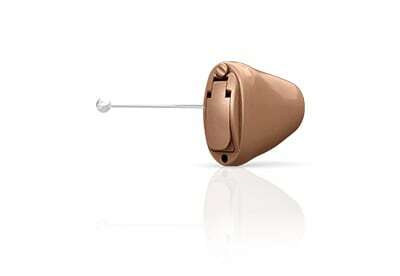 With its spotlight on speech, the flexibility to enjoy more environments, and a wide variety of styles and models, Celebrate is the hearing aid helping more people love how it feels to live it up. The Celebrate 100|80 premium and advanced technology levels are packed with innovative features and discrete styles, including wireless connectivity to iPhone® and Android™ smartphones with the SoundGate intermediary device and SoundLink App. This modern family of instruments gives you so many reasons to celebrate. Everybody on your feet! Cheer offers a well-rounded lineup of products featuring impressive sound quality stats. 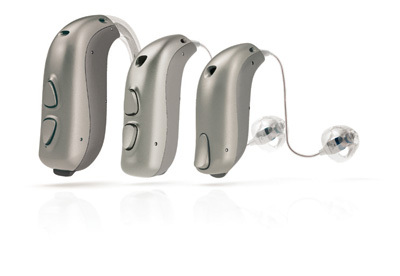 Cheer is available in three technology levels – Cheer 60, Cheer 40 and Cheer 20 – and a variety of hearing aid styles, so there’s a device for nearly every hearing loss need. Multiple features add to a winning sound performance on Sonic’s Speech Variable Processing platform. 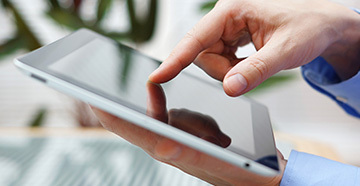 Plus, many devices include wireless connectivity. Better hearing every day. Now that’s worth a Cheer. The Cheer mid, basic and entry-level family of devices features a mix of impressive technologies that will make patients fast fans. Cheer fits most patients with mild to severe hearing loss. Available in ITE, ITC, CIC, IIC, plus four BTE models. Venture into any environment with the power of Journey. 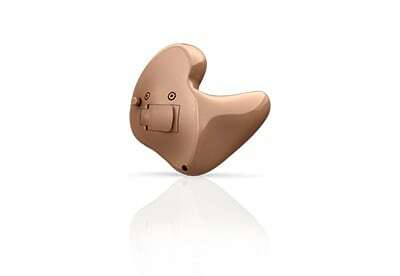 Designed for extreme hearing loss, the Journey Super Power BTE is prepared to go the distance. 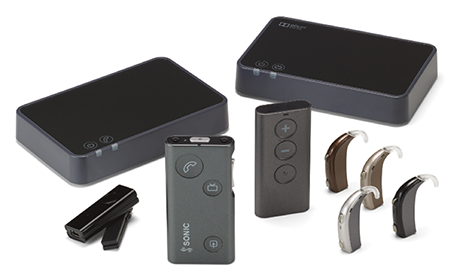 It starts with the muscle of Sonic’s Speech Variable Processing platform, then adds a robust set of features to deliver confidence, convenience, as well as wireless connectivity. Journey 80 boasts numerous features at the advanced technology level, while Journey 40 is set for solid performance at the basic level. Go ahead and take the lead. Journey allows you to set the course you want – every day. Simple, natural, and easy-going. Charm has an appeal you’ll find hard to resist. It’s refreshingly straightforward, with just the right amount of features to please. But don’t let its simplicity fool you. Charm has all the essentials your patients need. Rich, natural sound. Noise-eliminating technologies. Intuitive operation. Even wireless connectivity. It’s the kind of solution you will love. Pure and simple. Charm 60 mid-level and the Charm 40 basic technology level are streamlined to offer the right balance of features for all of your listening needs. These instruments are available in ITE, ITC, CIC, IIC, plus three BTE options. Full-day power with a simple overnight charge. 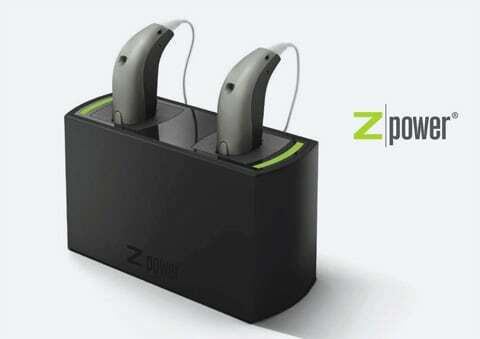 The ZPower rechargeable battery system adds simplicity, convenience and flexibility to Enchant miniRITE hearing aids. ZPower lasts all day, even while streaming audio from your favorite devices, and eliminates the need for regular battery changes. Enjoy stereo streaming with AndroidTM smartphones, tablets and a variety of Bluetooth® compatible devices to Enchant 2.4 GHz hearing aids. SoundClip-A also functions as a remote microphone, remote control, and allows your hearing aids to be used as wireless headphones for hands-free calls. 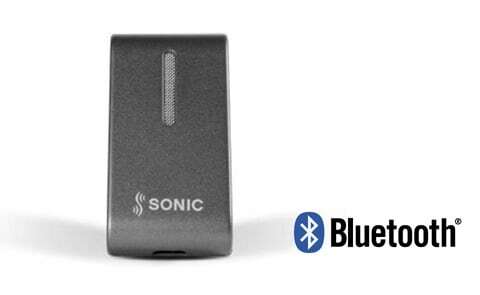 With low power consumption, the Sonic Remote Control offers easy, discreet program and volume changes*. People with dexterity issues especially love the convenience of this remote – no more fiddling with tiny buttons or dials on hearing instruments. 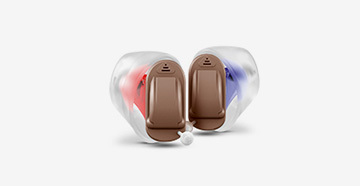 The heart of our wireless system, the SoundGate 3 is the digital “go-between” connecting external devices with your Celebrate, Cheer, Journey or Charm wireless hearing instruments. It’s a small, portable accessory that turns your hearing aids into personal “speakers” for the TV, your phone, or in assistive listening environments. With the TV Adapter, prime time plays right to you. The TV Adapter is an optional accessory that physically connects to your television then wirelessly transmits the audio. When you want to watch a show, the audio streams directly to your Sonic hearing devices. It’s like having sports, news, shows and movies play right in your ears. You control the volume level via the SoundGate – turn it up or down to your personal liking. The TV Adapter makes enjoying your favorite programming so convenient, you’ll want an adapter for every TV you own. 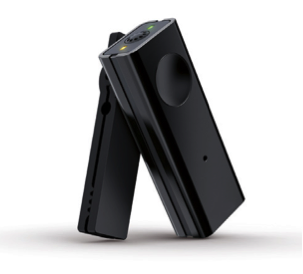 Answering a call from a mobile phone is already easy with the SoundGate device. But what about your landline phone? That’s where the optional Phone Adapter comes in. 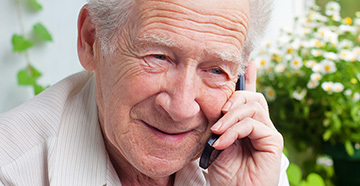 Connect the Phone Adapter to a landline, and it will work with SoundGate to alert you to an incoming call, let you answer remotely, and hear the conversation right through your hearing aids. You can adjust the volume as needed, too. Talking on the phone has never been easier. With the SoundGate Mic, you can close the gap when listening to a distant speaker. It’s a great way to better hear an instructor at the front of the room – or a friend at the far end of the table. Simply clip the SoundGate Mic to the speaker’s clothing or ask them to keep it nearby. Their voice is transmitted via the SoundGate right into your Celebrate, Cheer, Journey or Charm wireless hearing instruments. Apple, the Apple logo, iPhone, iPad, iPod touch, and Apple Watch are trademarks of Apple Inc., registered in the U.S. and other countries. App Store is a service mark of Apple Inc. Android, Google Play, and the Google Play logo are trademarks of Google LLC.